Industrial design involves creating designs that are appealing and that function easily and efficiently. 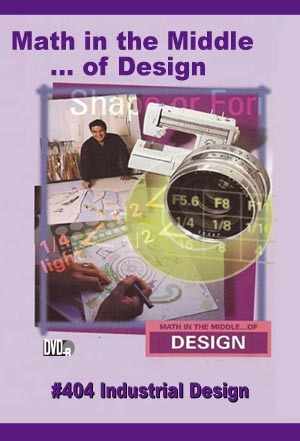 An industrial designer and an industrial engineer explain how mathematics is an essential component of creating good designs. Bicycle designers demonstrate how the designs of mountain and road bicycles differ mathematically, and why the differences are important to the function of the bike. This episode challenges students to: ,br>•Reflect on how design from shoes and work pace to bikes and bars are developed based on knowledge of human anatomy. •Explore how geometric elements are incorporated into the structural components of industrial/ergonomical design. •Recognize how industrial design is used to make homes, sports, and workplaces safer.